Here's a move that's sure to cause Samsung a truckload of pain. 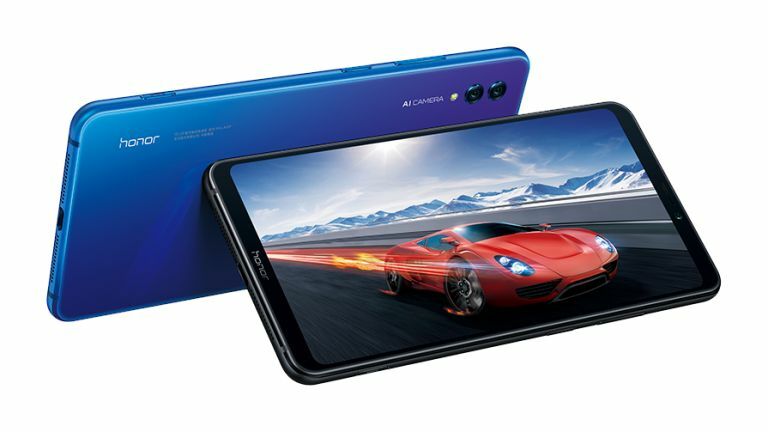 Honor just launched its rival Note 10 handset and it has Samsung's upcoming Note 9 beaten on a number of fronts that Samsung's Note series once comfortably held. That's going to worry Samsung, but it could be very good news for anyone who switches from the Note 9 to the Note 10. First, we have the battery, a key attraction of the Samsung Note line. Samsung's Note 9 is rumoured to come with a 4000mAh battery. The Note 10 absolutely smokes that with a massive 5,000mAh unit. Second, the screen size, another much-loved aspect of the Galaxy Note handsets. All signs point to the Note 9 screen being 6.3 inches. The Note 10 laughs in the face of that and delivers a 6.9.5-inch AMOLED display with an 18.5:9 aspect ratio. What about power? The Note 10 is no slouch, powered as it is by the same Kirin 970 chipset as the Huawei P20, P20 Pro and the Mate 10 Pro. It's no wonder Honor is touting the the Note 10's gaming prowess – power you could equally use in the office as during a bit of gaming downtime. Indeed, according to Android Authority, the handset even has a dedicated turbo key to unleash a performance mode. Imagine springing that one on an unsuspecting audience in the middle of a PowerPoint presentation at work. And then there's the price. Honor handsets have always been affordable, so you'd expect the Note 10 to come in at a lower price point than the Note 9. But at $410 (about £310) the Note 10 is an absolute steal. The Note 9 is expected to go on sale at over TWICE that amount at around $930. So buyers who defect from Samsung's phablet stand to keep back a big chunk of change. The Note 10 is available in three capacities: 6GB RAM with 64GB of storage; 6GB RAM with 128GB of storage; and 8GB RAM with 128GB of storage. Other features include a dual rear camera (24MP/16MP) and dual SIM card support. That second SIM card slot can also be used for an microsSD card instead, should you wish. 'Features' not included are a notch and a headphone jack. Oh, and it doesn't have a stylus, so the Note 9 sneaks in a win in that department. The Note 10 is available in two colours: black and blue. Is that a subtle reference from Honor to Samsung on what it's planning to do to its phablet sales? For now, the Note 10 is only available in China and there's no word of an international version, so if you want one, you'll need to look at sites such as GearBest and Alibaba or harass Honor on Twitter to release the phone outside of China. Honor's Twitter team is also recommending people to contact their local Honor vendor to enquire about availability.